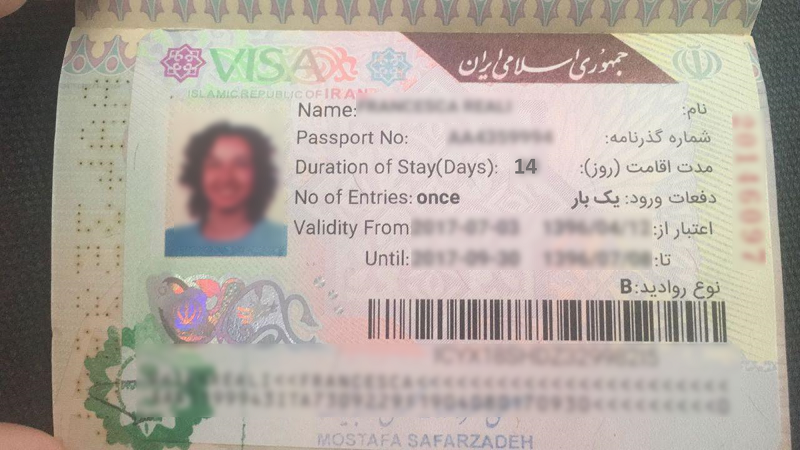 MFA (Iranian Ministry of Foreign Affairs) has announced that since September 23, 2018, Iran E-visa issuing plan (without attaching visa sticker to the passport) is started in Iranian embassies and consulates all over the world and Iran international airports as well. This plan was accomplished in Doha, Muscat, Tehran International Airport (IKA), Shiraz International Airport (SYZ) and Isfahan International Airport (ISF). Visa should be single entry and the type must be Business, tourist, pilgrimage, family or medical. Visa sticker is printed on a piece of A4-sized paper. Exit and entry stamps are also put in this paper. The nationals of America, England, Canada, Afghanistan, Pakistan, Jordan, Colombia, Bangladesh and Somali are exempt from this new regulation and the visa sticker should be put in their passport.